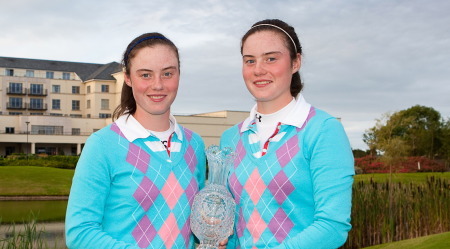 It was a mixed week for the Maguire twins, Lisa and Leona. While they began by teaming up for a foursomes win, only Leona could add further points to the European tally with wins in the fourballs and today’s singles. 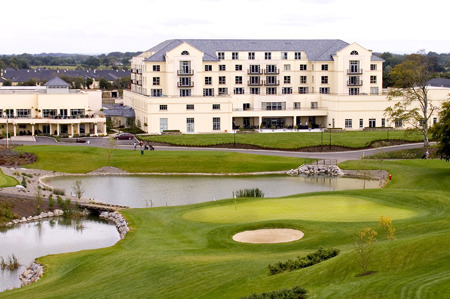 The result means that the Americans now lead the Europeans by 3 ½ matches to 2 ½ in a series which was inaugurated at Oak Ridge CC, Minnesota, back in 2002. The impressive US fight back also brought to an end the sequence which until now had seen the home side win the match each time it was played. The final day started under leaden skies but there was nothing dull about the golf being produced by both sides as they battled it out for one of the most prestigious trophies in junior golf. America’s Jaye Marie Green produced the first point of the day when she defeated Sweden’s Emma Nilsson by 3&2 in the opening match but that was quickly countered when Ireland’s Leona Maguire made it three points out of three for the tournament with a commanding 5&4 victory over Mariah Stackhouse. At that stage, there was little to separate the two sides and the situation was still the same when England’s Lauren Taylor lost to Gabriella Then when she three-putted the final green but Welsh girl, Amy Boulden, claimed Europe’s second point of the day with a 4&2 victory over Emma Talley. The weather took a turn for the worse around mid-day and, as heavy rain started to fall, the visiting Americans began to take a grip of the proceedings. Lisa Maguire lost 3&2 against Alison Lee and, while Antonia Scherer brought some respite to the home side with a 4&2 win over McKenzie Talbert, the American’s strength down the stretch began to tell. Five of the day’s 12 singles matches went to the 18th hole and the US won three and halved two of them. One of the most valuable contributions came from Ashlan Ramsey who came to the 153-yard par-3 final hole one down to French girl, Manon Gidali, but then hit her tee shot to 12 inches and holed the putt for a winning birdie two. That will go down as the unofficial Shot of the Match and her half point seemed to spur the visitors into redoubling their efforts. Summar Roachell defeated Spain’s Luna Sobron on the last. British Girls’ champion, Margaux Vanmol from Belgium, finished a fine tournament with a 3&2 victory over Kyung Kim but almost immediately Esther Lee also won her match on the 18th when French girl, Emilie Alonso, took three to get down from a devilish spot behind the green. As the drama intensified, Alonso’s compatriot, Celine Boutier, could only halve with Karen Chung and moments later Lindsay Weaver sealed America’s all-important 12th point with a 2&1 win over England’s Charley Hull. “I’m not sure I can begin to put into words how I’m feeling right now,” said the American captain, Meg Mallon, a veteran of seven Solheim Cup matches and the winner of four Major titles, including two US Women’s Opens. “I didn’t know these kids very well at the start of the week. I knew their records but it wasn’t until I watched them play that I worked out what they could do. “Today, basically, what I tried to do was to put my energy players out first and my calm putters out last and I’d like to think it worked. “It’s great to defend the title but my heart goes out to the European team,” she added. “They played with such class and sportsmanship they didn’t deserve to come out on the wrong side of this result. The European captain, Lotta Neumann, who has played on six Solheim Cup teams and won both the British and US Women’s Open titles, spoke for her whole team when she said: “We’re very disappointed. We played a lot of great golf but the Americans were just that little bit tougher coming down the stretch. “What can I say? At the start of the week, when I saw the 18th hole was a par-3, I thought it might play a big part in the outcome of the match and that’s exactly what happened. 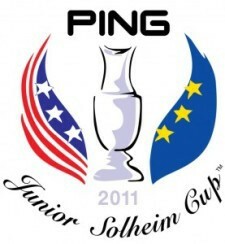 The two 2011 PING Junior Solheim Cup teams will now spend the rest of the week at the Solheim Cup at Killeen Castle as guests of the sponsors.